BUTTERFLY STEELS is among the leading Stainless Steel Houseware Manufacturer and Supplier in India. At the booming period of industrial revolution our first target is to manufacture best quality utensils manufacturing need. We use best quality raw materials and scraps for production. Our adaption to latest technological inputs and multifaceted infrastructural base ensures quality of Stainless Steel Domestic Houseware Products. The stainless steel industry attracts some of the best minds in terms of technology and business acumen, and Butterfly Steels is no exception. Our growth is not just dependent on things such as technology and sound business strategies; it is our people who use the technology. 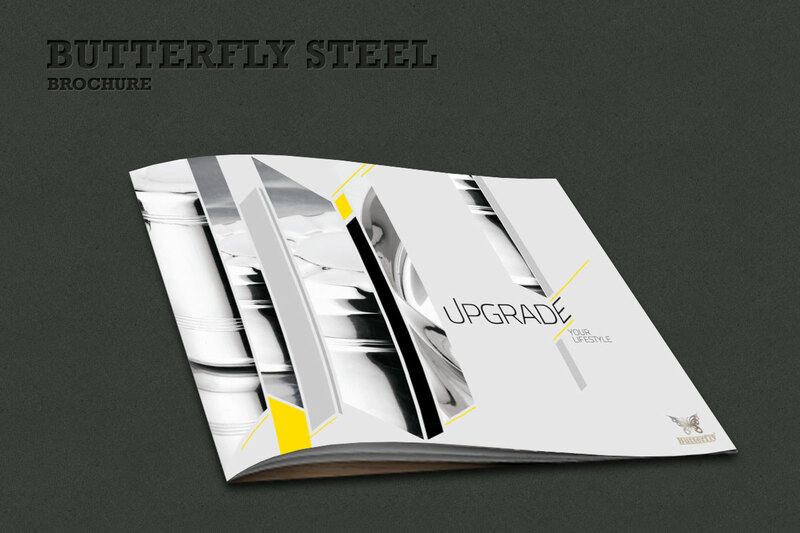 Butterfly Steels has attracted talented leaders who understand the emerging technical, commercial and marketing aspects unique to this business. The skills profile of our employees is comparable with the international industry average. We have developed a culture of learning and promote a system of continued enrichment through acquiring new knowledge and the honing management and leadership skills. We value new and innovative ideas because this drives improvement. Butterfly Steels is constantly evaluating new technology and the positive benefits that it can have on our operations. We also know that technology has to be directed by the brightest minds. At Butterfly Steels, we owe everything to our committed, talented personnel. It is their passion that has helped us grow at a phenomenal rate. Bharat Dedhia has his watchful eyes on the finances of the company. He also looks into the legal matters. He is best known for being a person who greets everyone with a broad smile. Kishor Dedhia is the founder of the company. Being a very hard-working person, he keep an eye on all the departments of the company. Technicality, R&D, innovation of new designs, building and managing relationships are his forte. Riken Dedhia is involved with packaging and his forte is managing the supply chain. He engages himself passionately in the Marketing strategies of Butterfly Steels. His dynamic personality and modern thinking adds to the company's image and future goals. Chandni Dedhia manages the day-to-day accounting at Butterfly Steels. With her excellent management skills, She helps develop and execute new ideas for the growth of the company. We immensely Thank you for visiting our website and sparing your valuable time in going through our products Please do enter your company details : Tel. / Fax / E-mail in our contact page & forward us your specific demands indicating product code no, quantity, etc. to enable forward our best quotes and to carter you with the best possible service from our side.We always look forward to serious business associates and serve them to their entire Satisfaction. We hope you could be one of them.